This is our final day of Mix and Match Week here on the BoBunny blog. Have you been inspired to try your hand at mixing and matching your favorite BoBunny collections? Today, Irene and Agnieszka inspire us with their mixing and matching abilities on some gorgeous cards! Have you all started creating cards for this Valentine's Day? 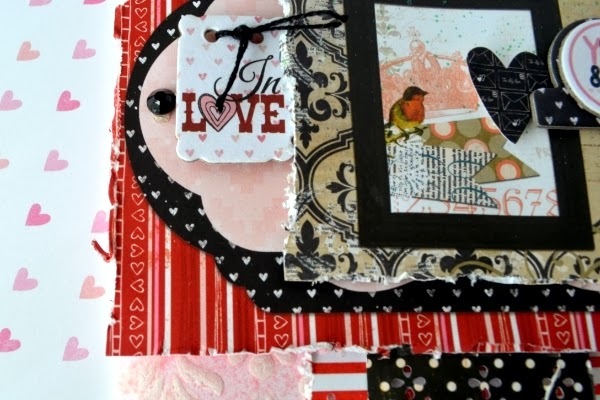 Here is a card which I've mixed both Pincushion and Head Over Heels collection. I've used Pincushion to soften the look for this card and embellished it with Head Over Heels for the sentiment of this card. 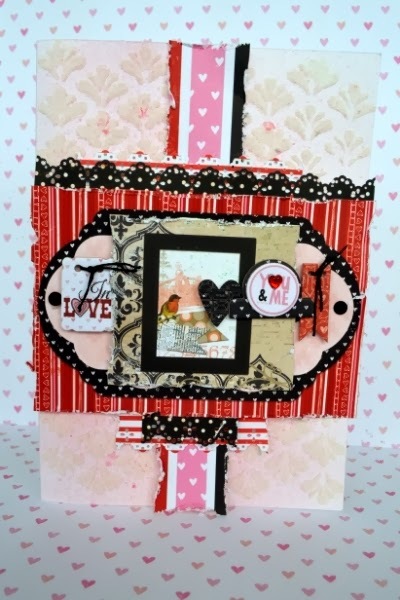 Here is my second card featuring Pincushion and Head Over Heels collection. 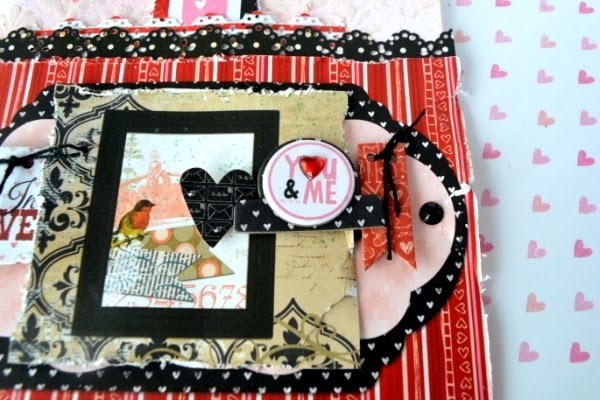 This time, I've created a clip on look in the front of the card using some noteworthy pieces and a layered chipboard in the Head Over Heels collection. My son turned 12 a couple of weeks ago, so I wanted to make a special card for him. He loves watching movies, reading books and he has some favorites games. He has a wonderful imagination, so my wish for him was to keep it that imagination alive. To create my card, I used a mix of 3 different BoBunny collections and added one of my favorite flowers. This card will very soon, be given to the man of my life! Two of the collections I used are themed for Christmas and Halloween however, they went perfectly with the love theme of my card. I used some pink on this card for my husband, but I think it's still a good card for him. Maybe next year I will make him a card with a golf theme!? Absolutely fabulous cards! I love, love, love them! omgosh these are awesome...I love Irene's card!!! WOW - they are ALL DELIGHTFUL - THANK YOU for the mix 'n match inspiration!!! Wow... These cards are beautiful! Cccam Server it isn't showing right in my Feed viewer. It just began occurring a few days ago, did you alter some thing on the blog?